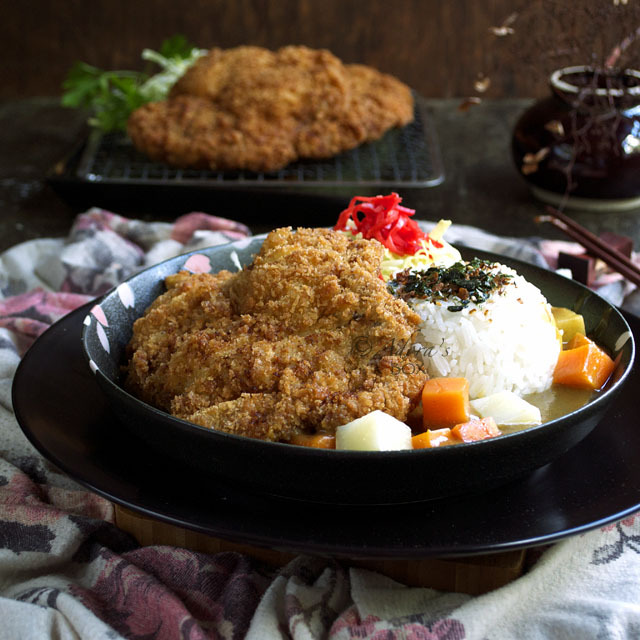 Pork or chicken katsu, although a Japanese dish, is so approachable as every everyone knows and love fried crumbed food. 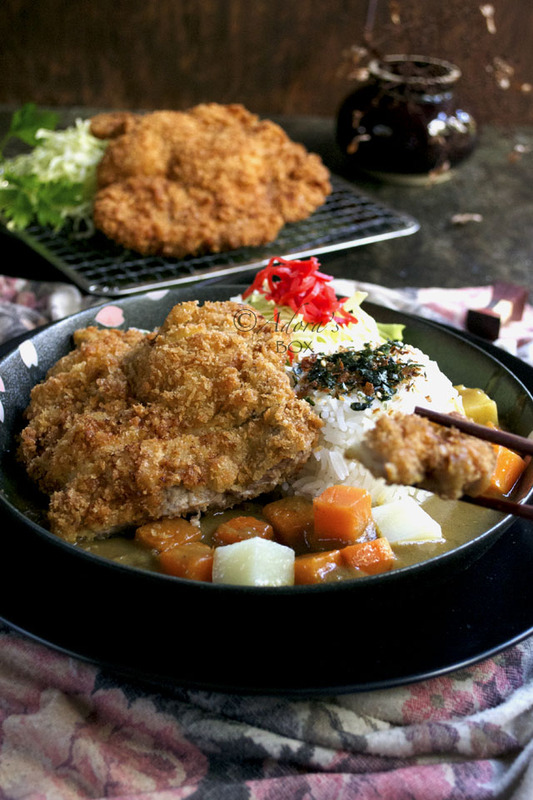 It is basically crumbed pork or chicken served with a Japanese style curry gravy. 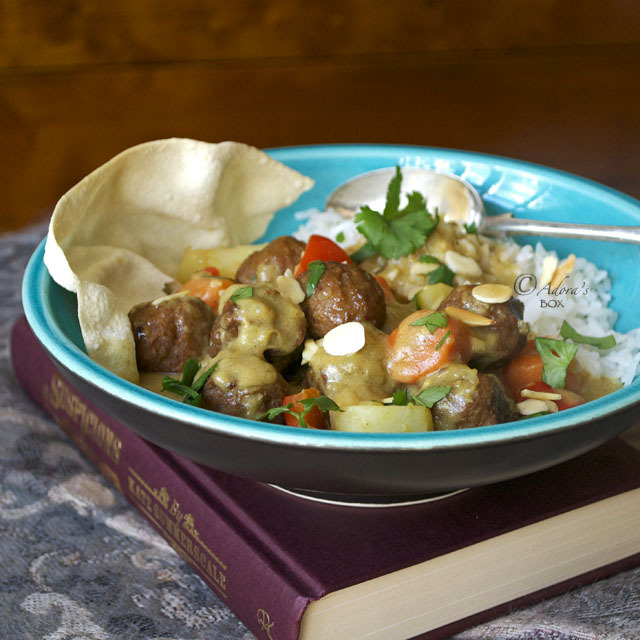 Unlike other Asian curries, the curry gravy has a simpler taste and smoother texture. Athough chicken katsu is more popular, I opted for pork katsu or tonkatsu because I have pork today. The very same recipe applies to chicken. The leaner pork loin or chicken breast is normally used for the recipe, but I like using pork shoulder steaks or boneless chicken thighs. 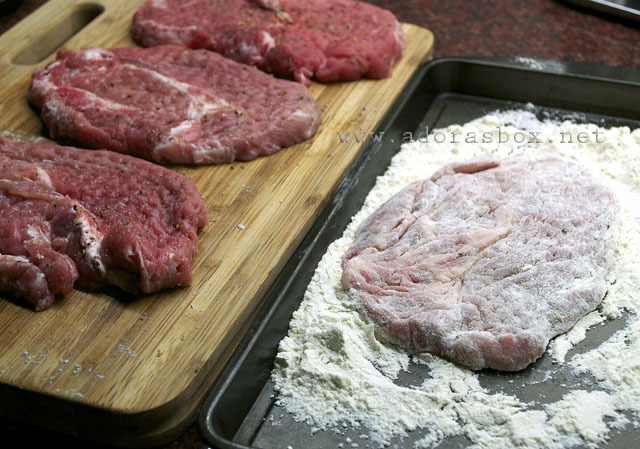 Both cuts of meat have a better taste and texture because they have a bit more fat and sinew. The recipe is super easy. It is a matter of making curry gravy and crumbed meat. The process of making the gravy from scratch did not take that much longer than reaching for the ready made roux and opening the packet. 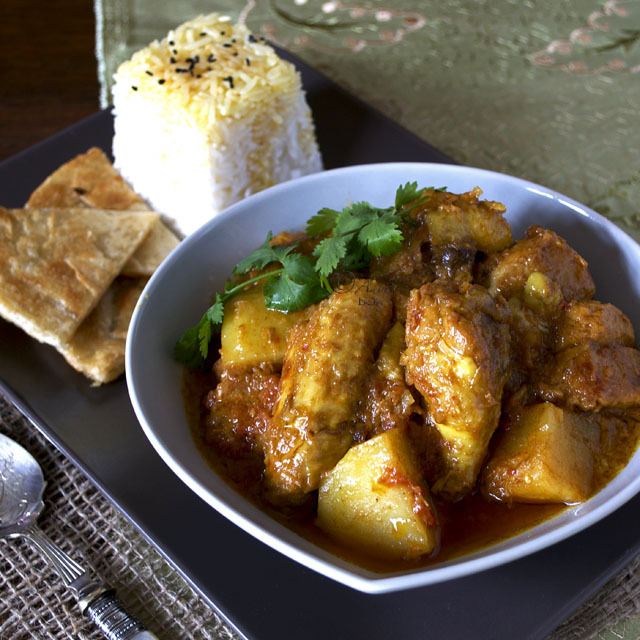 All in all, the dish is a pleasure to make and a delight to eat. Two thumbs up from Mum and kids. Recipe for the sauce adapted from Allrecipe's Chicken Katsu Curry recipe. Heat up a wok or pan. Add in the butter then the garlic. Saute for 1 minute. 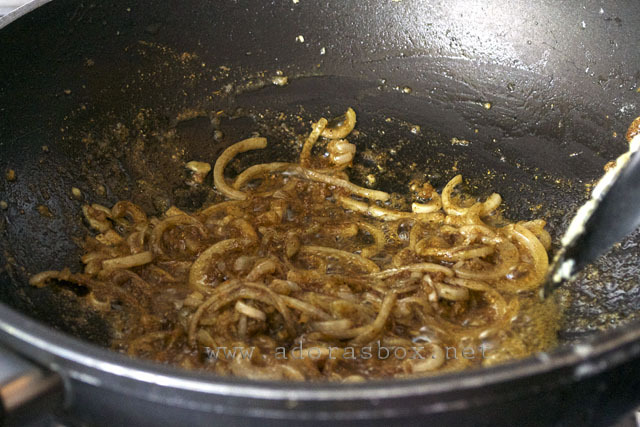 Add in the sliced onions and cook until softened. Add in the curry powder, gram masala and chilli powder (if using) and stir for about a minute until the spices are fragrant. Add in the flour. Stir for about 2 minutes. 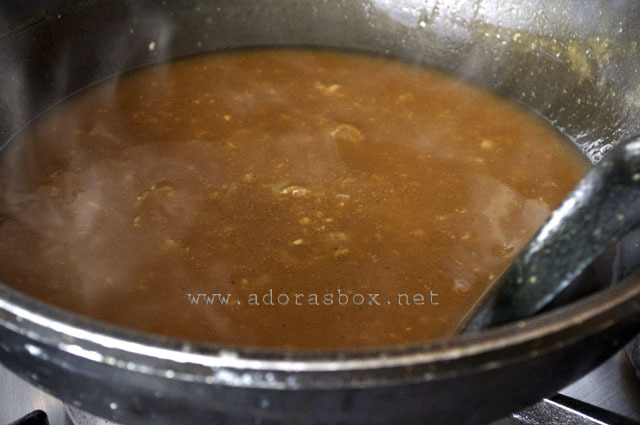 Slowly add in the stock while constantly stirring to obtain a smooth gravy. Add in the soy sauce and honey. Bring the mixture to a boil and simmer on low heat for 15 minutes. 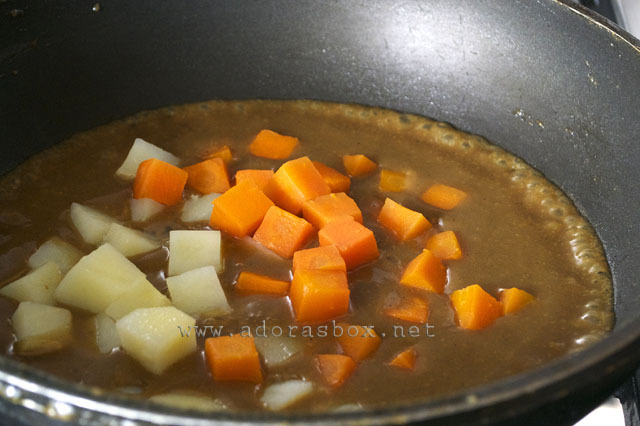 Add in the cooked carrots and potatoes and serve with the pork katsu. 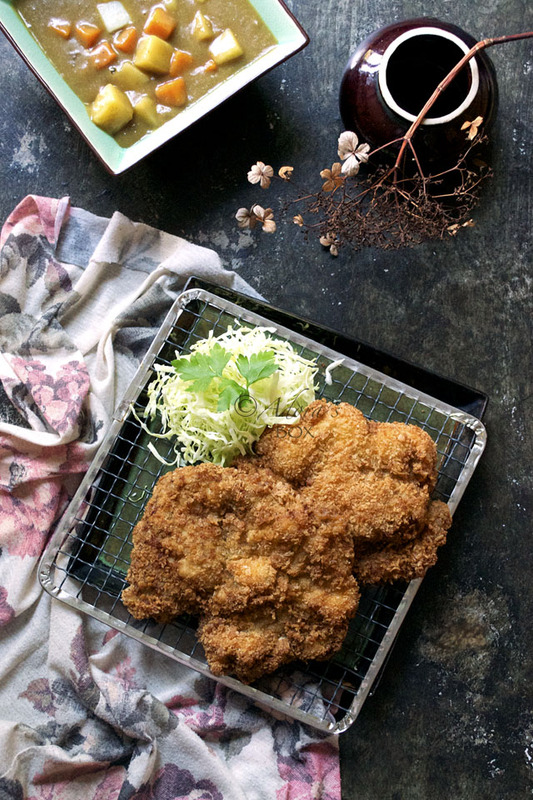 Recipe for katsu adapted from Just One Cookbook's Tonkatsu recipe. Tenderize the pork with a meat tenderiser. Gently coax them back into their original shape so that they are not too thin nor too wide. Dredge in flour and shake off the excess. 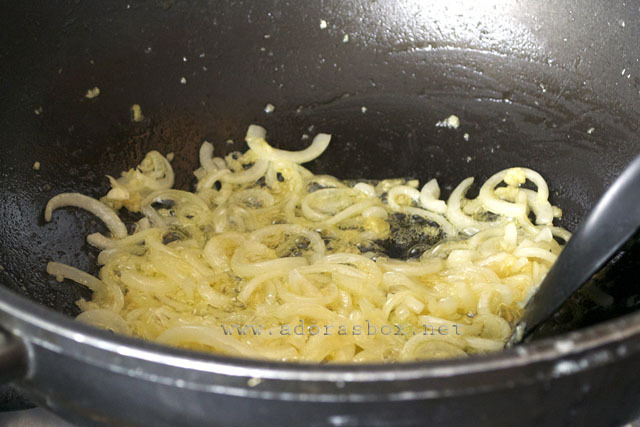 Dip in egg and oil mixture (this makes the crumbs adhere to the meat). 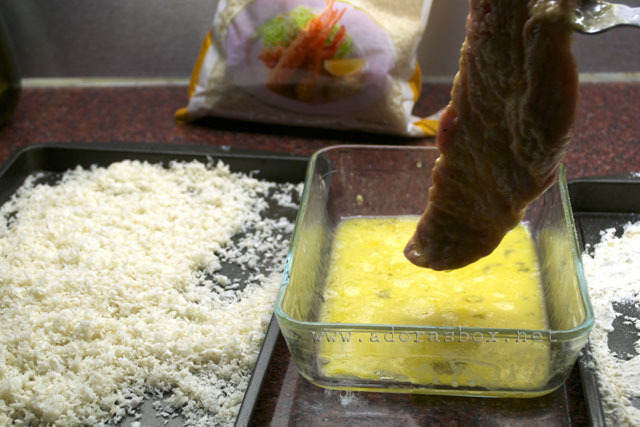 If using dry panko crumbs, spray with water to moisten. To make your own crumbs, pulse crustless white bread in a food processor. 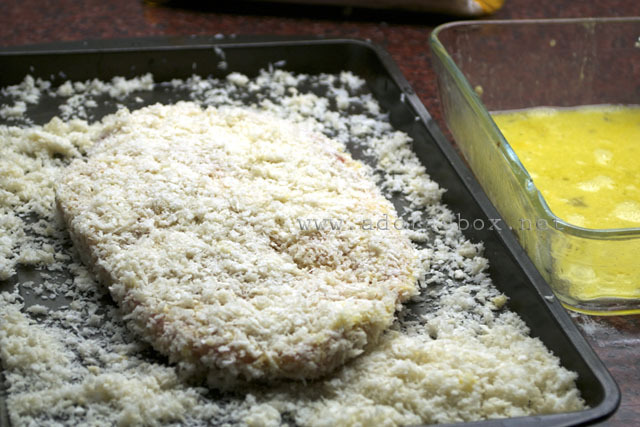 Coat each pork steak with the panko crumbs. Press the crumbs well into the meat. Heat up a frying pan or wok. 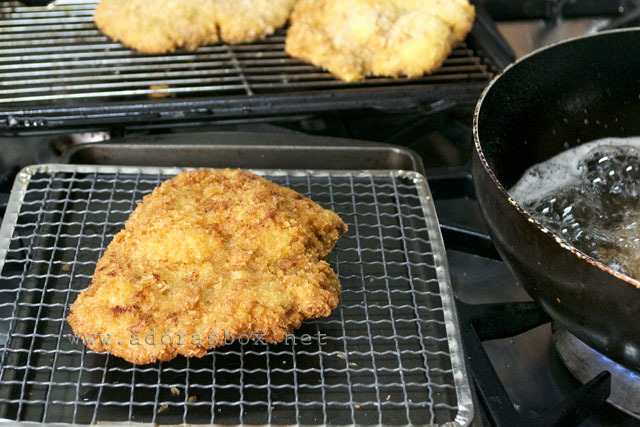 Fry the crumbed pork pieces on medium heat for about 2 minutes on each side until lightly browned. Transfer to a rack lined with a tray to catch the drippings. 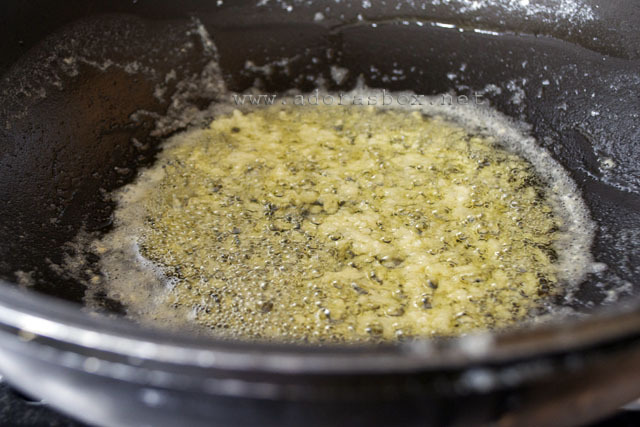 Skim off the crumbs that fall into the oil so that they don't burn. Let them rest for about 10 minutes. Heat up the oil again, this time on high heat. 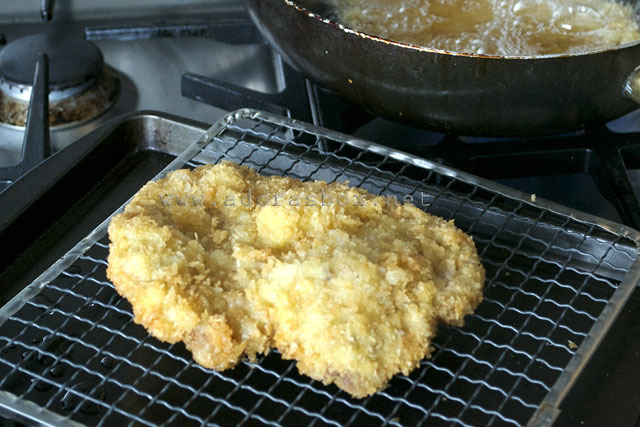 Fry each pork katsu for 1 minute until golden brown. 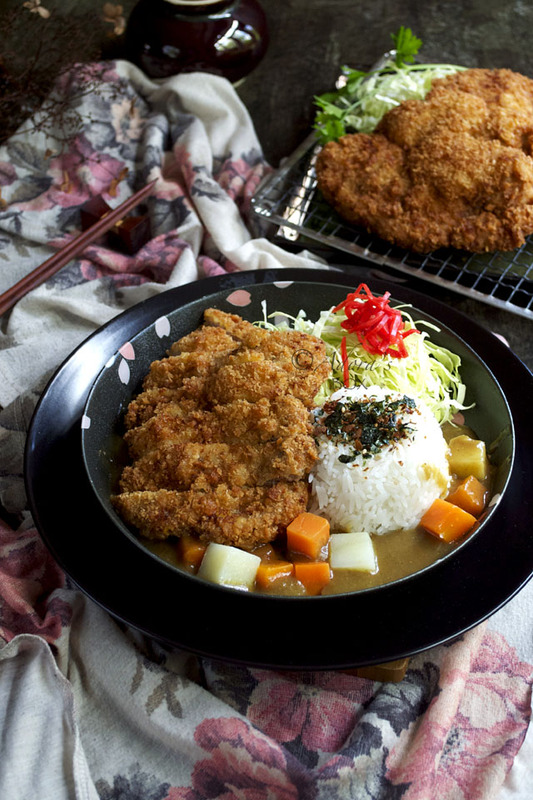 Slice into strips before serving with steamed rice and the curry sauce. 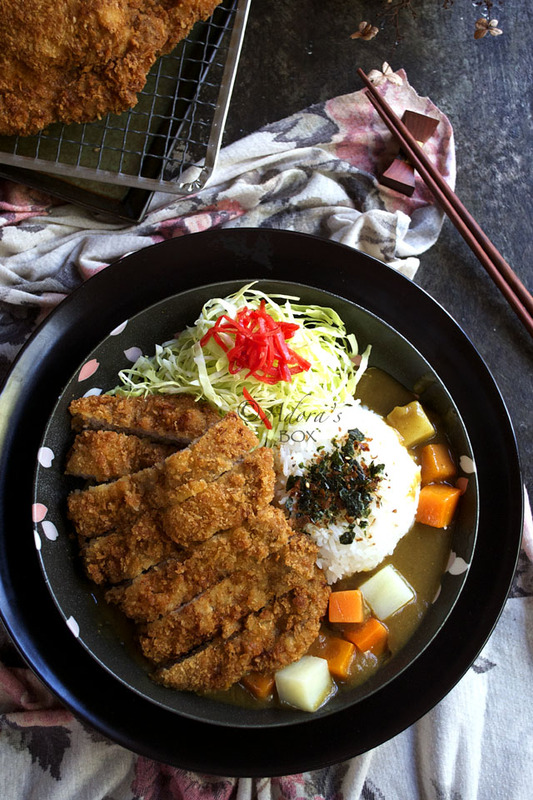 I think your kids dont need to order from Wagamama anymore........anytime they can order from Adora's Kitchen this katsu curry and I believe it is much more healthier version. The pictures here says it all.....so delicious!